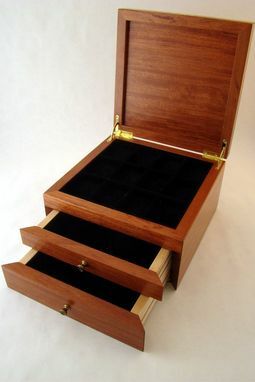 This is a custom jewelry box It is made of solid bubinga with a velvet interior and two pull out drawers. Dividers in the top and the two drawers are open. 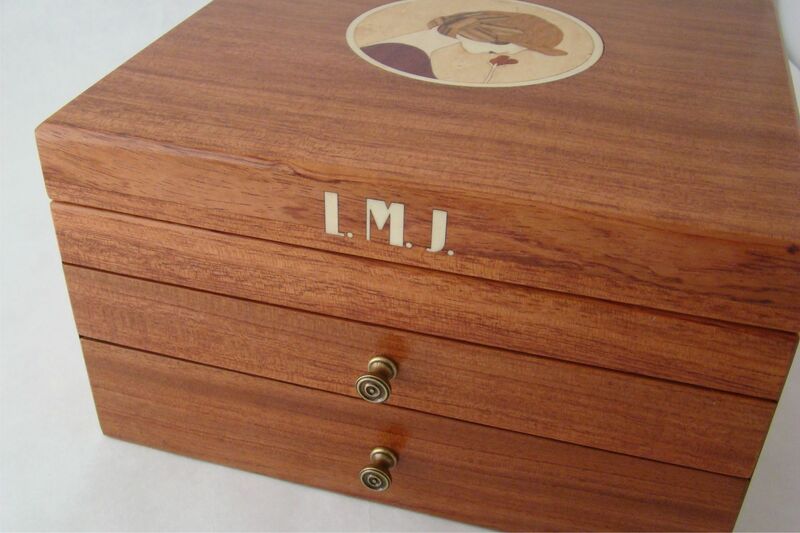 Gold quadrant hinges and a inlaid art deco style female and your initials on the front. Production time is approx. 4 weeks. 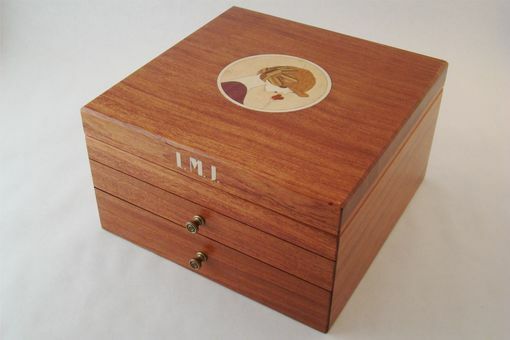 It is 10" x 10" x 6"
This is a beautiful jewellery box - thank you so much. Gorgeous wood and artistry. A very fine piece. And Michael was great to deal with. Michael Benton was top notch to work with. He responded immediately to my e-mails and questions. He completed the project earlier than I had expected. His craftsmanship is first rate. The completed jewelry box for my daughter exceeded my expectations. I have another daughter who will be graduating from college in two years and plan to enlist his help again at that time for a special gift for her also. Thank you Michael!